The opportunity to run at an inaugural parkrun does not come around that often for me and The Son so we were glad to attend Osterley parkrun for their first event on the 31st August. In fact it would have been poor not to attend given Gunnersbury being postponed due to the London Mela and the closeness of Osterley Park. Car parking is free on parkrun day if you show your barcode upon arrival and the car park was certainly bulging with parkrun visitors when we arrived. There is a brief walk from the carp park up to the mansion-house where the volunteers and runners were congregating near the finish funnel. The event director walked us to the start line, which I believe has since been moved to directly outside the mansion-house so that the steps can be used for the briefing, and we mingled at the back of the start pack. A bumper attendance of 261 runners, swollen by the temporary exodus of Gunnersbury regulars plus inaugural chasing parkrun tourists and parkrun regulars from other nearby events in a busy hub of parkrun courses, meant that we couldn’t really hear the run briefing. I was not really worried about the route since I had recently run at the trial event and today I would be jogging around with The Son to keep him company. I did get to say hello to blog7t as the run briefing concluded and his blog entry with course description and pictures paint a much more eloquent description than anything I could cobble together. I first said hello to blog7t at the inaugural Walthamstow parkrun and his blog is one of the first places that I visit before planning any parkrun tourism. The Son enjoyed the varied terrain although I was not impressed when some faster runners lapped us on our second lap and one of the runners barged through rather than following his group on the other side of the narrow woodland path. I was forced to make a quick grab for The Son just to make sure he wasn’t knocked over by the same guy. After our run we popped into the café by the finish area where The Son was disappointed to find that there was no hot food on offer but he was happy to munch a chocolate brownie with a glass of apple juice. 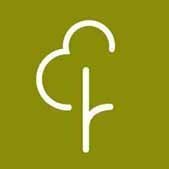 Osterley parkrun is another great addition to the parkrun family and it’s great to have another nearby event available to us. The course is varied and trail shoes would be beneficial in the winter months and just be careful with the roots in the woodland section.